ur company is a family business, established out of love for quality Olive Oil. It was founded in 1999 by a farmer of the Messinian land, Grandpapa Spiros, and was taken over by his son and grandsons. The company owns an olive oil production and trading unit in the village of Plati, 15 km from the city of Kalamata. Its headquarters are based in Athens along with the core of its activities. We possess state-of-the-art machinery and to assure the quality of our products, we use a modern system of organoleptic and chemical tests as defined by the National and European Community legislation. 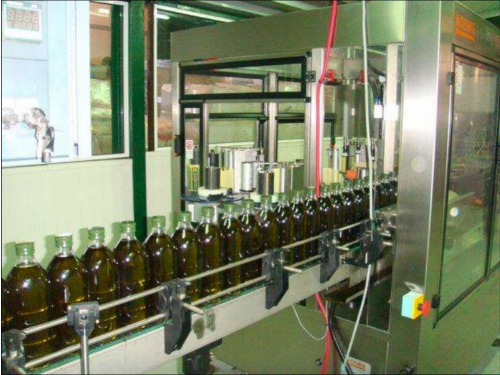 Its main activities consist in the production, packing and trading of Extra Virgin Olive Oil PDO (Protected Designation of Origin) from the greater area of Kalamata and from Crete. From the area of Kalamata it produces the "Koroneiki" variety, a unique variety endowed with the bright green colour of the Olive Oil, its rich aroma and fine taste, which owes its name to the beautiful town of Koroni. The quality of our production is certified by the Certificate of Food Management System (ISO 22000:2005) for the standardization and trade of Extra Virgin Olive Oil and Olive Oil. We also obtained the Certificate of Protected Designation of Origin. The company exports its products to France, Great Britain, Germany, Sweden, Denmark, Czech republic, Slovenia, Austria, Serbia, Former Yugoslav Republic of Macedonia, China and Australia. A special characteristic of the policy of our company is that the olive fruit used to make Olive Oil comes, to a great extent, from our own olive trees. We supervise and check systematically the proper growth of the olive trees and of their fruit, we eradicate diseases using organic methods-thus reducing the use of pesticides to the minimum. The best variety of olives "Koroneiki" are selectively hand picked and cold pressed within 24 hours in high technological methods. Unfiltered, the Olive Oil retains all its natural flavour and nutrients resulting in a mild, fresh, fruity and full bodied Olive Oil with low acidity not exceeding 0,5%. Our aim is to marry the ancient Greek tradition with the use of hi-tech methods. 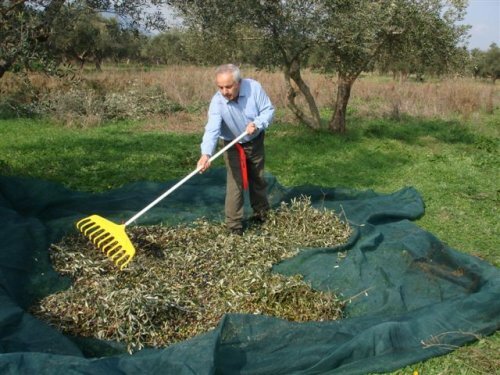 The olive harvest uses the old, traditional methods: the olives are tapped with long rods, the fruit falls to the ground onto large cloths, they are then picked, the leaves are removed and the olives are taken to the olive press where the first olive juice is extracted in cold. The olive oil is gathered, filtered and stored in inox tanks, in accordance with the EU regulations, which guarantees its quality. Our company standardises production exclusively in the Koroneiki variety of Extra Virgin Olive Oil from the greater area of Kalamata and from the area of Sitia in Crete. The Olive Oil is bottled in bottles of 250ml, 500ml, 750 ml or 1 lit of the Maraska, Dorico and Quattro type and put in cans of 3lit and 5Litt. The labels on the bottles as well as the inscriptions on the cans are written in Greek, English, French and German, providing information about the product (area of origin, acidity, ingredients, expiry date, bar code, etc). The end product is packed in cardboard boxes, which are piled on wooden pallets. They are grown without the use of chemical pesticides, fertilizers or other hormones. In order to kill harmful organisms, other harmless ones are used which act parasitically and control the population of the harmful ones. The principles of the organic agriculture are described in the Regulation 2092/91 of the EU. A product can only be considered organic if it meets very specific requirements, not only at the stage of growth and cultivation, but also at the stage of transformation and standardisation. On the label and on the inscription should appear the certification number issued by the authority that checked the product at all its stages, the ISO number, the manufacturer's name, the modifier's name, the area of origin as well as additional information about the identity of the product. The advantages of organic products are mainly- the consumers' protection against hazardous toxic substances contained in pesticides with which the conventional crops are sprayed. Undoubtedly, organic products offer higher nutritional value compared to the conventional ones, as they contain more natural sugars, metals, trace elements and less water. Also, they contain more vitamins and antioxydant substances. Their taste is fuller and they preserve, to a great extent, their aroma. Organic agriculture is an alternative to the conventional one, is environment - friendly, people-friendly because it respects nature and promotes the quality of life. It enhances the detoxication of the environment from the toxic poisons with which the conventional agriculture has harmed the eco-system. Its priority is to exploit natural resources and to grow produces through natural processes, which preserve the soil's fertility. The use of natural fertilizers, the appropriate choice of vegetable and animal sources, the use of renewable sources of energy and the eradication of diseases with organic methods, all contribute to the protection of the environment. 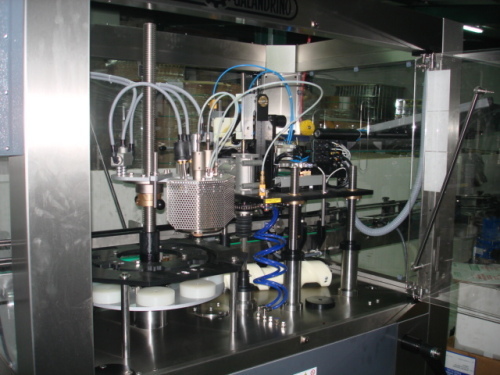 Our company has expanded its range of products by creating a cosmetics line based on our own olive oil. Moisturizing hand and body cream in containers of 250ml and 75ml. Shampoo for all hair types in bottles of 400ml and 250ml. Moisturizing Shower Gel in bottles of 400ml and 250ml. All face creams are also available with sun protection SPF15.